Competitive Prices, Quiet And Clean Rooms. 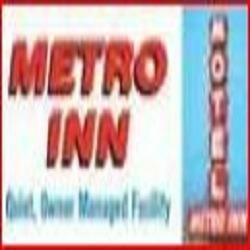 Metro Inn Motel, located in Minneapolis, MN, will provide you comfortable overnight lodging when traveling in the Minneapolis metro area. We are close to all the attractions in Minneapolis, including the Mall of America, downtown Minneapolis and the airport. We have 35 spacious and clean rooms with a variety of additional amenities include: weekly and 4 day special / commercial rates, cable TV with showtime, refrigerators and microwaves are available, kitchenette, on bus line, and complimentary coffee in morning. Metro Inn Motel will provide a home-like atmosphere for you by allowing your pets to stay in the rooms. We are conveniently located just three blocks off of I-35 and Crosstown (Hwy 62) and we are easily accessible to the bus line. For friendly service and a comfortable stay, call us today or visit our web site. Close To Downtown, MPLS, Airport & US Bank Field.